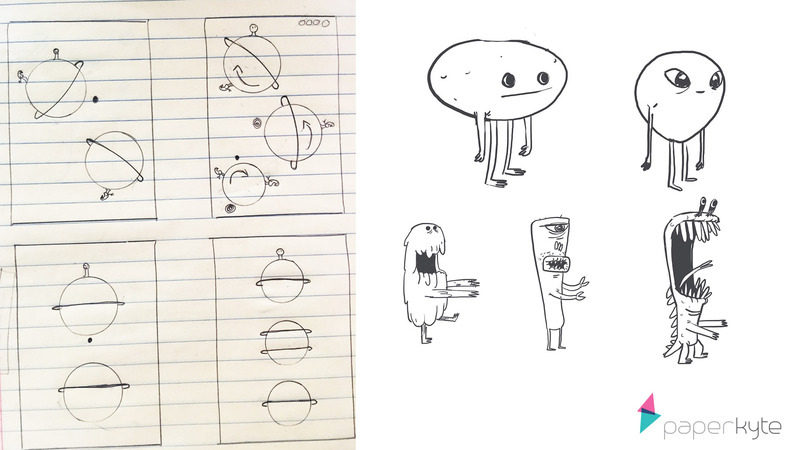 The brainstorming started on paper with simple sketches of characters and level design. We knew we wanted the gameplay to be unique but simple. As the saying goes ‘Easy to play but hard to master!’. Nothing was set in stone and we are exploring what mechanics would work while also developing the characters and art style. This video is where we hit upon the core game mechanics. We came up with this test video that also served as a vehicle to communicate to the game developers what was needed to develop the game. While the levels were meticulously designed we started discussing what we wanted the game to look like. We roped in Bryan Lashelle, known for his contribution to animated movies such as Sherman and Peabody, Book of Life, etc. Here’s his take on the initial inspiration for the concept art! 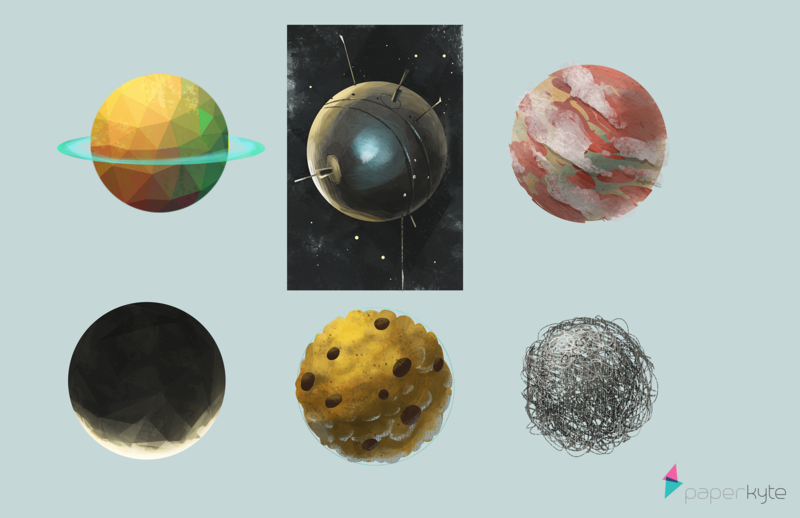 For the look we were really heavily influenced by old scifi pop art, movies, and early space exploration. We wanted to incorporate backgrounds that felt like there was dimension and depth to them, to make the game a little bit more of an immersive experience, not just an action puzzler. The characters were then rigged and brought to life, and we wanted the animation to be quirky and each character to have its own personality. Some cycles were animated on 2’s to give it that hand crafted look. The mobile game development process was reaching a crescendo! We added 90 different variants to the game. We carved out each level meticulously and segmented them into seasons. The artwork for each season was implemented. The game developers coded furiously. The combination of all these factors manifested Orbit’s Odyssey to the game it is now. We call this the Maximum Viable Product. We decided to go with a free to play model initially. With this being our first game, a significant chunk of time went into comprehending Ad networks and their payouts, terms like LTV, CPM, Fill rate etc. We toyed with F2P initially only to find out that the retention levels were low in the beginning. This impacted the ad revenues significantly as it meant that the players are not booting the app up regularly and not coming back to play on a daily basis. Our ad revenue numbers were on the lower side. But we didn’t let that deter us. Through a series of user tests and data collections, we figured that players were finding it tough to understand the core mechanics of the game. We re-did the tutorials, and the ramp in terms of difficultly on levels in each season. We also found out that the ad placements weren’t right, and was more of an intrusion than value-additions to the players. Hence we decided to eliminate the ads completely. We noticed that the entire playtime for an advanced player was over two hours. 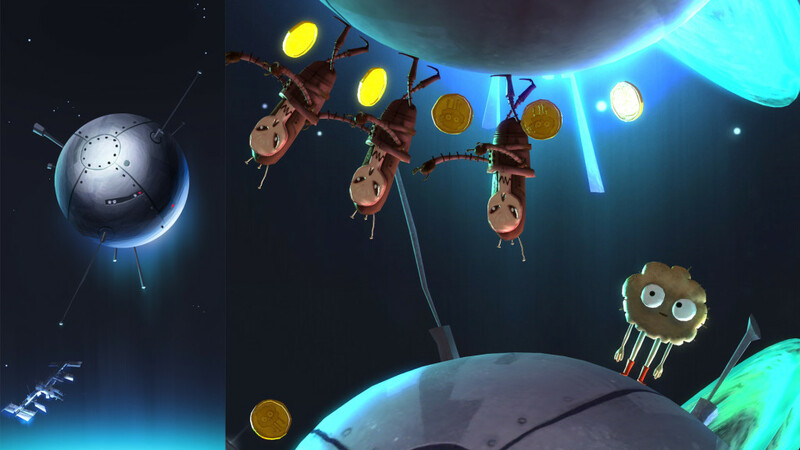 Plus they enjoy six varied and stunning new worlds and get to solve 90 challenging puzzles with 5 characters. Hence, we thought a $2.99 is a fair price for the game. With no single IAP to boot! We hope you enjoyed our chronicle of the mobile game development process. Play the game to see how it finally shaped up. 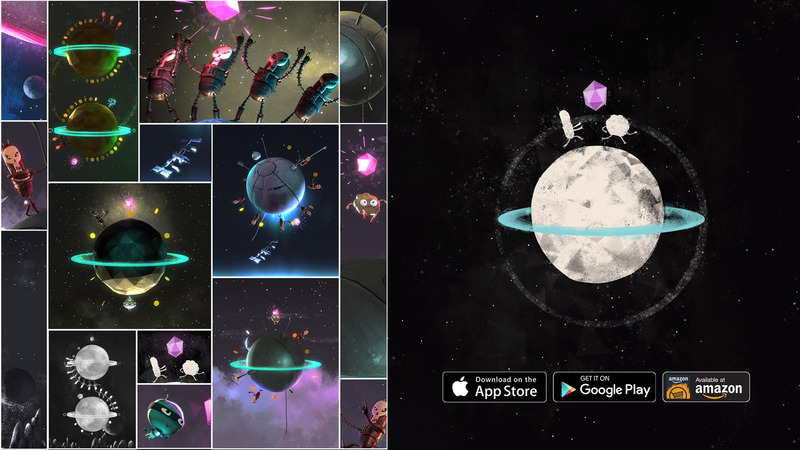 Go on and get Orbit’s Odyssey here – Apple, Android, & Amazon.. And do let us know what you think – info@paperkyte.co. Cheers!